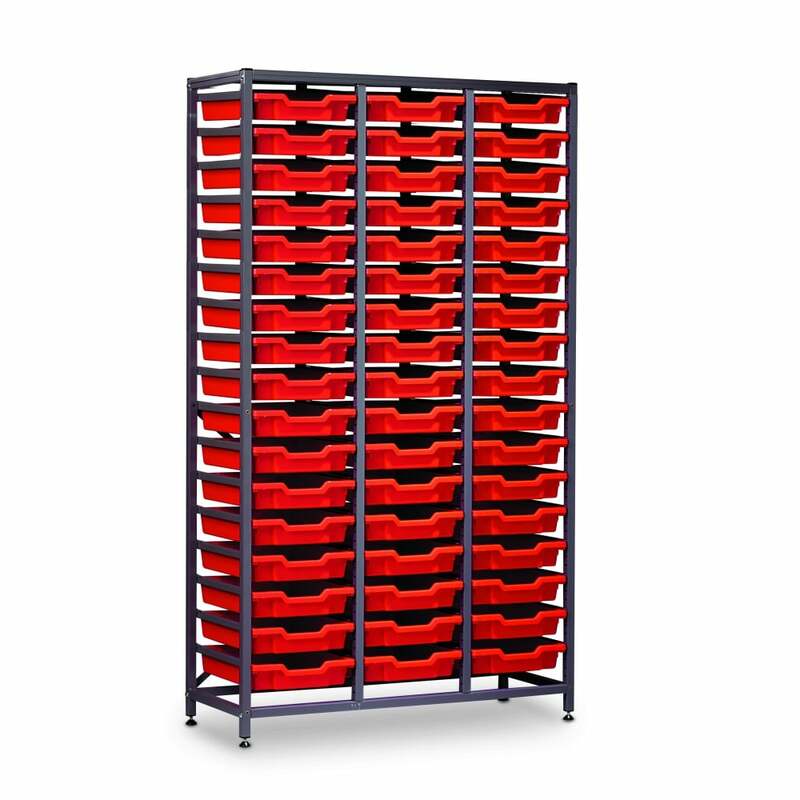 High density storage for parts or paperwork. Ideal for filing or the storage of small parts in an office or workshop environment. Complete with top, adjustable feet and back braces for additional rigidity. 25mm square tube with welded side frames in a Grey epoxy coated finish. Supplied with tough polypropylene trays available in Red, Blue, Green, Yellow or Translucent. (All units are supplied with the same colour trays. Other colours and combinations available on request). Wheels: 4 x 75mm Dia. non-marking rubber tyred swivel castors.